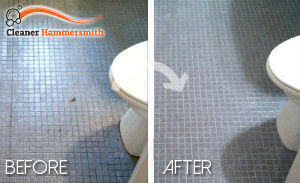 You find it impossible to balance between cleaning, work and family, yet your bathroom is in a despicable condition? If that is the case, our company’s expert bathroom cleaning services are just the thing you need – we operate across W6 and the nearby areas, boasting a long list of happy customers. We believe customers will greatly benefit from our flexibility, expertise and keen rates. The company has recruited only reliable cleaners with years of experience in professional cleaning. Moisture is the number one cause of mould formation. Needless to say, it is because of excess moisture that your bathroom becomes the perfect breeding ground for germs and bacteria. But there is no reason to panic! 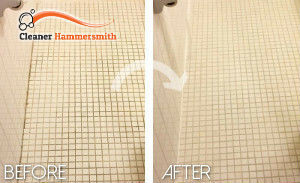 All you have to do is give our budget-friendly bathroom cleaning services throughout Hammersmith, W6 a try. We have personally background-checked all cleaners working for the company to make sure they possess the experience and competence, required for the effective and thorough cleaning of your bathroom. The cleaners will readily comply with your individual requirements, but overall, the service includes floor mopping and sanitisation, descaling of bathtubs, taps, sinks, showerheads, and tiles, removal of mildew, toilet disinfection, and removal of soap scum. You can rest assured all surfaces will be rinsed thoroughly to wash away the detergents, used in the cleaning process. To further your convenience, we provide you with the option to make a booking online, via our service form. If you wish you can reach us over the phone as our lines are open throughout the week. Experience the joy of a having an immaculate bathroom!